Rolling hills, fertile farmland, meandering rivers and the majestic Blue Ridge of the Appalachian Mountain range are the pride and joy of Alleghany County, North Carolina. 235 square miles of pristine paradise from sunup to sundown. 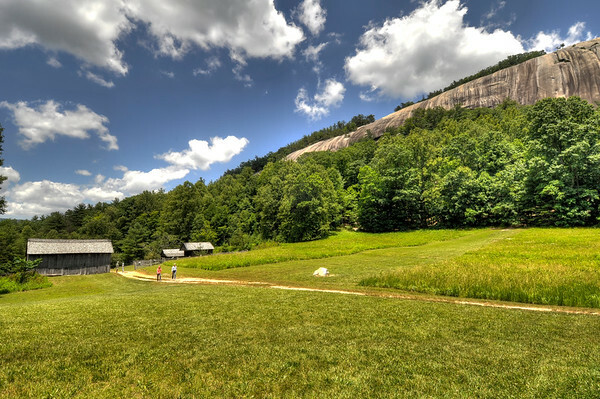 The trail departs Hutchinson Homestead as Stone Mountain ascends with majesty.